Cutco has a fairly unique business model. Instead of relying on smart pricing, good advertising, and great web presence, it uses a direct marketing approach. Cutco hires many salespeople, mostly college students, to visit their friends and family members and demonstrate how good their knives are in-person. The power of these demonstrations is enough to drive sales, even with the high price-tag on Cutco knives. Unfortunately, however, these demonstrations can be deceiving. I don’t think that Cutco is for everyone, no matter how nice their knives might seem. While there are definitely some upsides to Cutco products, I don’t think the cost of these knives is justified in many kitchens. This doesn’t mean you shouldn’t buy a set of Cutco knives! Instead, you should carefully weigh your options and figure out what you actually want to use your knives for, then get the best knife for that purpose. Let’s check out some of their knives so I can describe how this works. The big draw of this knife set is that it lasts practically forever with no maintenance, meaning you’ll never have to buy a set of steak knives again. You can use these to cut chicken, pizza, and other common foods. The blades come apart for easy cleaning or sharpening if you’re so inclined. This knife is durable, easy to maintain, and does an excellent job of holding an edge. This set of four kitchen knives is a favorite of Cutco reps around the nation. It’s quite expensive, meaning they get a big chunk of change for themselves, and it’s loaded with all the usual Cutco features. The big draw of this knife set is that it lasts practically forever with no maintenance, meaning you’ll never have to buy a set of steak knives again. If you’ve read my other knife reviews, you probably know that I think the most important part of a knife is the metal they’re made from. These Cutco knives are made from 440A stainless, which is a very high grade steel that holds an edge pretty well and is very easy to maintain. It’ll last for many years and stay sharp without a lot of maintenance. Unfortunately, that doesn’t matter very much when it comes to serrated steak knives. 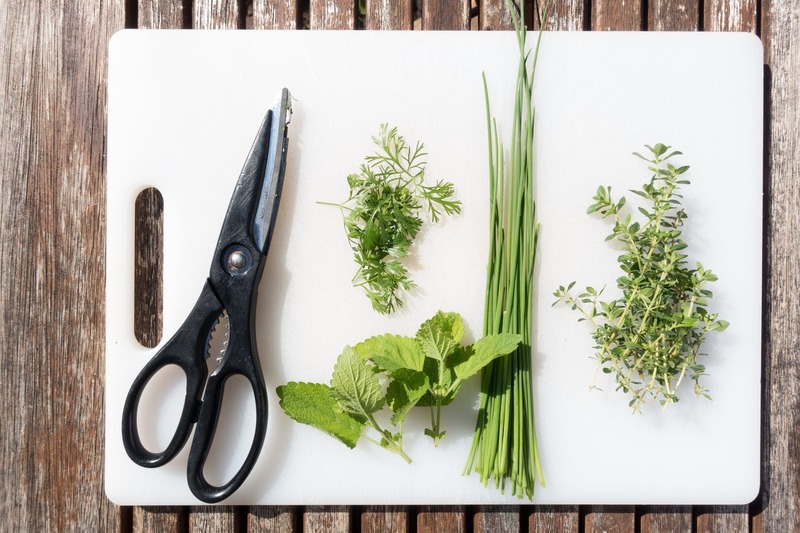 These are not the tools you use when slicing tomatoes or preparing meat or even chopping herbs. Instead, they’re something that sits next to your plates when you set the table for guests. The sharpness matters a little bit, certainly, but it’s far less important than the appearance of the knives and the brand name that’s stamped on the blade. If you and your friends think that having Cutco products adds value to your table, it’s not a bad idea to put these products in your drawer. You’ll impress your dinner guests and have a set of long-lasting, effective cutlery at a somewhat acceptable price, given the impressive warranty and durable construction. If you’re not so impressed by the brand name, however, you should probably steer towards a different line of knives. As far as table performance goes, Cutco’s serration does a very good job of cutting steaks. It also ensures that you’ll never need to sharpen these knives, even if you had the tools to do so. If you’re the kind of home cook that hates sharpening knives, this makes these Cutco blades pretty ideal. If you’re more like me and you don’t mind breaking out your whetstones every once in a while, you probably should choose a smooth-bladed set of steak knives that you can maintain yourself. Non-serrated knives can be much sharper at their sharpest, but they’ll require a decent amount of attention over the course of your blades’ lifetimes. I mentioned both warranty and durability earlier, but it’s worth going into a bit more detail here. These knives are made from 440A, which is one of the very best grades of stainless steel that you’ll find in any knife anywhere. It’s absolutely perfect for ensuring that your knives will stay pristine and sharp for a long time. You can easily use one of these knife sets for decades, and you’ll find plenty of people on the internet who have done exactly that. The warranty, however, is pretty much impossible to beat. Cutco has a more-or-less unconditional lifetime guarantee on their products. This means that if your knife falls into the garbage disposal or the bottom of your dishwasher they’ll almost certainly replace it, no questions asked. Again, you’ll find that the internet is full of positive customer stories from people who have gotten their ten-plus-year-old Cutco products replaced under the original warranty. Overall, this set of knives is definitely a mixed bag. For me, I’d rather have either a set of cheaper serrated knives or a set of non-serrated steak knives that I can sharpen. If you’re interested in buying a single set of steak knives that could very well last you the rest of your life, however, this Cutco steak knife set might be worth the cost. It’s fantastically durable, has a great warranty, and is very simple to maintain. 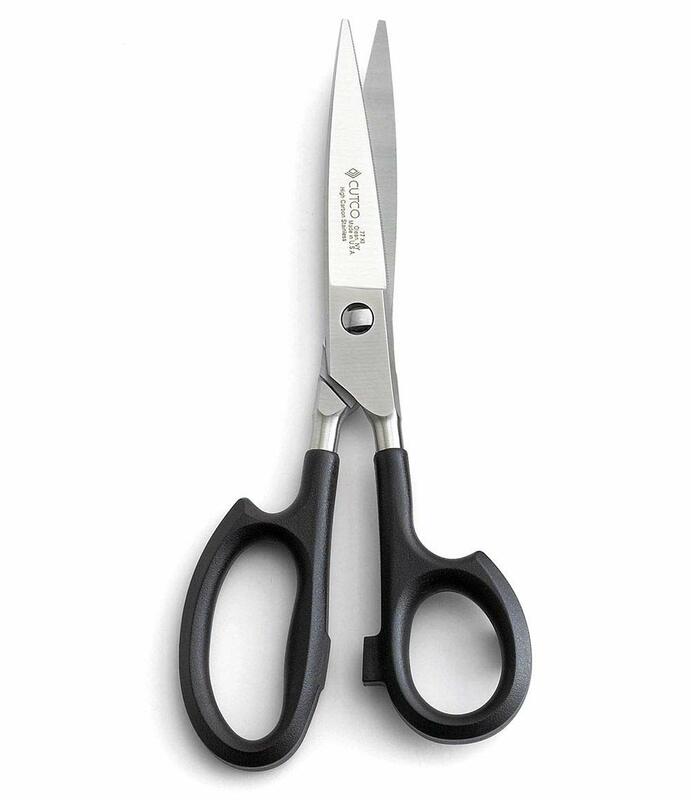 Among Cutco fans, these scissors are a highly rated product. They’re essentially a pair of large 440A stainless knives that are connected by a pin. You can use these to cut chicken, pizza, and other common foods. The blades come apart for easy cleaning or sharpening if you’re so inclined. While I’m somewhat hesitant to give Cutco’s serrated products my full backing, these scissors are a different deal altogether. The fine steel used in their construction gives them longevity, durability, and edge performance, and the fact that you can easily disassemble them means that you can sharpen them yourself. This makes them an ideal tool to use for all sorts of food prep. The price is still somewhat high, of course, which may put them out of reach in some kitchens. I look at it as both an investment in quality and as an investment in two knives. This is not a small pair of scissors. At some 8″ long, you’re basically buying two high-quality utility knives. While Cutco’s price is still somewhat high, it’s definitely not unreasonable. 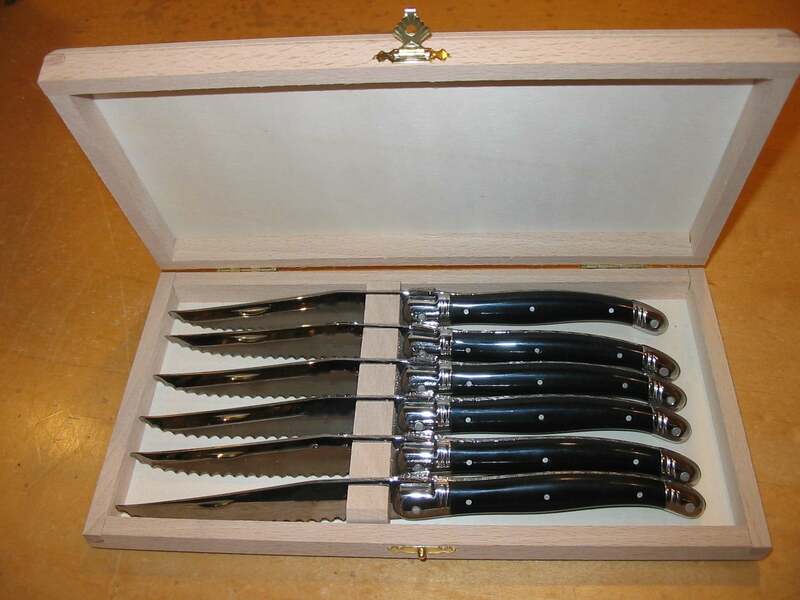 Of course, just like with the knife set above, you still get Cutco’s legendary lifetime warranty. This means that you can look forward to enjoying these scissors in your kitchen for the foreseeable future. Cutco will even sharpen the scissors for you in some circumstances, although I’d rather pay my local shop to sharpen them than pay for shipping and have to wait for them to come back in the mail. To be clear, many Cutco fans will tell you that I’m crazy and that these scissors never need sharpening. They’re not wrong, either. Under normal home use, the 440A steel in these bad boys will last for more-or-less forever, especially if you tend to cut reasonable things like paper and soft vegetables. I like the edges of my blades to be crazy sharp, however, and the fact that I can hone these scissors to my liking makes them a great product in my eyes. If you’d like a set of kitchen shears that you can use for opening packages, preparing food, and even cutting through meat, this set of Cutco shears is a pretty good buy. It’s crazy expensive, but it comes with an absolutely incredible warranty that backs ridiculously sturdy construction. If you want an additional tool that’s super handy in almost every situation, these scissors are a great choice. When it comes to chef’s knives, the material is king. Cutco’s use of fine 440A stainless is a major boon here. This knife is durable, easy to maintain, and does an excellent job of holding an edge. It also comes with the legendary Cutco warranty that ensures that it will last for literal decades in your kitchen. Of course, all of these features come at a price. This knife is fairly expensive, especially compared to fairly high-end chef’s knives from brands like Dalstrong, Henckels, and Victorinox. When you can comfortably buy two Dalstrong blades for the price of a Cutco knife, you have to question how “worth it” the more expensive knife is. To me, there’s not a lot of reason to shell out for this particular Cutco product. You’re essentially paying quite a lot of money for a very nice warranty, which is great for peace of mind, sure, but it’s not the sort of thing that I like to do with my products. My background in cooking has made me very comfortable with using a much cheaper Victorinox chef’s knife, while my love of kitchen tools has helped me amass quite the collection of fine blades. In other words, if you don’t mind buying a $40 to $80 chef’s knife once or twice a decade or you think you’ll buy a chef’s knife from another brand just to try it, this knife isn’t for you. There is a target audience for this Cutco knife, however: people who only plan to purchase one chef’s knife. If you don’t want to replace this knife and you don’t think you’ll shell out for a beautiful Damascus knife anytime soon, this Cutco chef’s knife is quite good value per dollar. 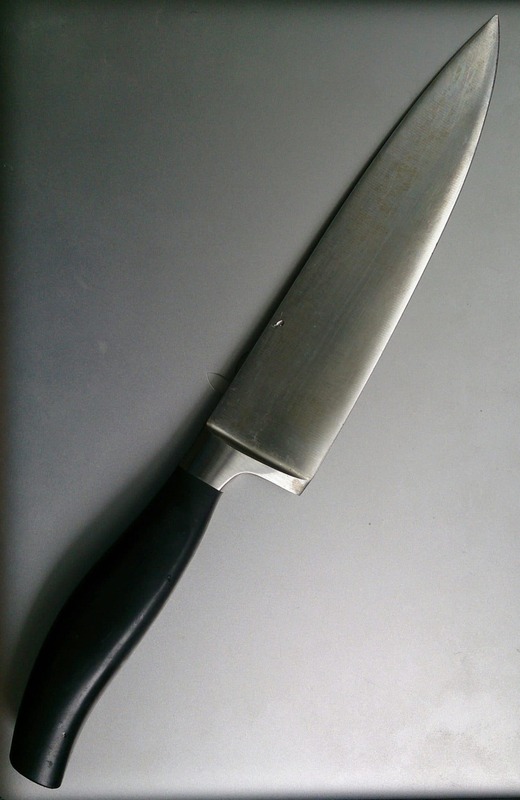 The warranty basically guarantees that you’ll never buy a chef’s knife again in your life. Best of all, the 440A steel is easy to maintain — it sharpens fairly nicely at home and holds an edge for a very, very long time. Plus, the stainless steel won’t patina, making it suitable for cooking with just about every type of food. Why are Cutco Knives So Expensive? Cutco knives are quite pricey, even when compared to luxury knife brands like Zwilling. The answer is surprisingly simple: they’re made in America, they’re sold in a format where the seller earns a commission, and they have an incredible warranty that’s vigorously fulfilled by the manufacturer. In other words, they’re expensive to make, you’re essentially paying the salesman a small fee each time you buy one, and the company has to charge more than the cost of a single knife because of the warranty. This business model has worked out for Cutco quite well. Even though their knives are expensive, word-of-mouth advertising is massively helped by in-home demonstrations by Cutco salesmen. It’s also very easy to find a friend or relative who’s used their Cutco products for many years, meaning that new consumers like you or me are much more likely to trust in their longevity. Finally, while fulfilling each and every warranty claim is very expensive for Cutco, it also helps them sell more products. When a customer’s knives break through circumstances that are totally the customer’s fault, Cutco usually replaces them. This means the customer is quite likely to tell all of their friends about how good Cutco’s warranties are, thereby selling lots of knives for Cutco. The high price of the knives is quite easily explained by the factors above, meaning it’s simple to determine if a Cutco product is right for your kitchen. If you care about supporting American manufacturers, you want a product that you can trust for many years, or you have a friend or family member you don’t mind supporting financially, Cutco knives are very much worth the cost. If you’re not interested in these qualities, however, it’s probably better to buy a knife from a different brand. Cutco Warranty: The Best In the Business? As I’ve stated before, Cutco’s warranty coverage is absolutely phenomenal. A simple search with your favorite search engine will return dozens of results from satisfied customers who have had their products replaced free of charge decades after the purchase date. In many cases, the damage caused to the Cutco products is 100% the fault of the consumer, and Cutco is perfectly happy to replace the products. This is quite expensive for Cutco, of course, so it jacks up the price of each knife tremendously. More importantly, however, it’s also a major part of their advertising game. 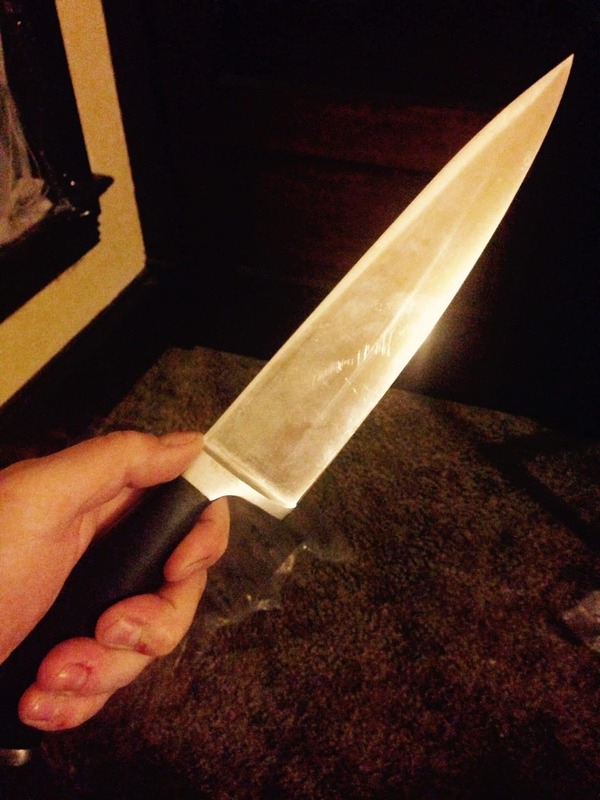 Each time they replace a knife, the happy customer shares the news with their friends. This means that Cutco is quite happy to help you with your goal of never buying another knife again. The reverse is even truer: each time they DON’T replace a knife, someone makes a big stink on social media and ruins the image that their company has very carefully cultivated for years. Since Cutco’s warranty is such a big part of why people buy their knives, they work very hard to avoid letting this happen. This means that Cutco is incredibly likely to honor any and all warranty claims in this day and age. The result, of course, is that you can trust Cutco products to an extent that’s more-or-less unparalleled. If you buy a Cutco knife, a pair of shears, or a set of Cutco steak knives, you’re guaranteeing that you’ll have those tools in your kitchen for a long, long time. Cutco Knives: Worth It or Not? Whether or not Cutco’s products are worth the cost will depend on a number of factors, including your financial circumstances, your ability to care for fine knife blades, and how many kitchen tools you already own. In a kitchen like mine that’s stocked with dozens of blades that I can use for any task, picking up a knife that’s primarily known for its durability and replaceability isn’t super worth it. On the other hand, in a kitchen without a chef’s knife at all, buying a Cutco chef’s knife is an investment in the future that’s quite smart. The durability of the blade and incredible warranty work together to ensure that you’ll never need to buy another chef’s knife in your life. As far as their other products go, it’s a bit of a mixed bag. I’m not the biggest fan of their serrated blades, like their steak knives, while their kitchen scissors are fairly unique and one of the most innovative tools you can find in any kitchen. All of their products are made with the same durable American construction and come backed by their incredible legendary warranty, meaning you don’t have to worry about them breaking or wearing out any time soon. They’ll even replace their products occasionally should you mail them to Cutco for sharpening, although I personally prefer the shorter turnaround from my local cutlery store or my personal whetstones. My final verdict is that Cutco is definitely a brand worth considering. Just because these blades aren’t perfect for me doesn’t mean that they’re not a great fit for many kitchens around the country. While the cost is fairly high, you’ll be able to depend on your Cutco products for many years, meaning they’re often cheaper than buying a competing set of knives or scissors and replacing that set every few years. If you want a high-quality, durable knife, knife set, or pair of scissors, Cutco is a great brand that will work hard to ensure that you never need to replace that product with something from another brand. Ginsu Knives Review: Why Are These Knives So Cheap?